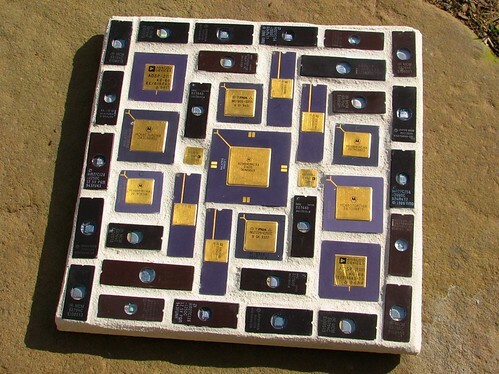 Solistone is a Los Angeles based business and these are part of their distinctive tile collection. and turned it into THIS. Big improvement! Ikeamirrorforsswap, originally uploaded by dustycat90. If you live anywhere near the Homebush Ikea store in Sydney, they have a clearance sale starting this Saturday. Melbourne’s Ikea store’s clearance has already started in Richmond. The Logan, Brisbane store’s clearance started today. Adelaide and Perth aren’t so lucky. 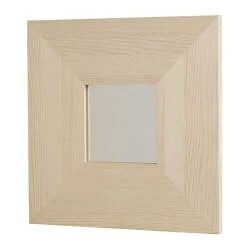 But the Malma mirrors cost $3.95 anyway! I like projects to be as green as possible so this project appeals. A gift for that geeky friend! 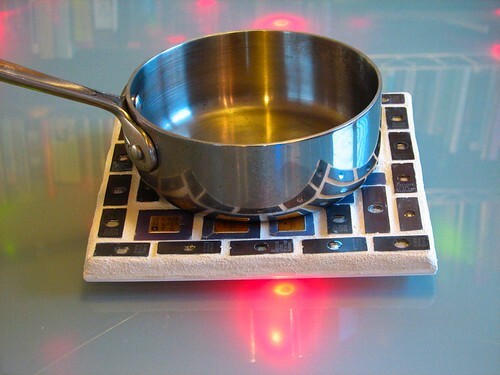 Computer Chip Trivet: Deployed and Ready For Action!, originally uploaded by oskay. Corn Palace Workers, originally uploaded by librygirl. Remember those days when you were at primary school and you had to stick macaroni to paper to make pictures? Theoretically those were early attempts at mosaics even though pasta is not the most conventional tesserae. But what is mosaic? It involves sticking things down with an adhesive. Grouting is optional. 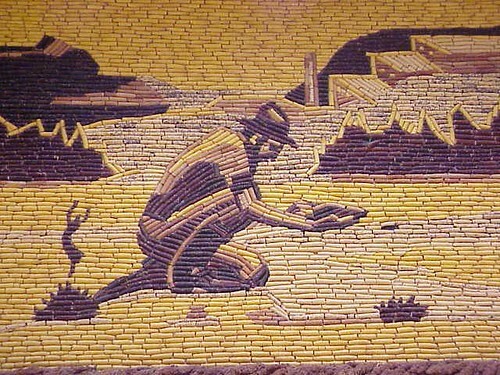 Corn Palace 2004 mural 3, originally uploaded by mharrsch. 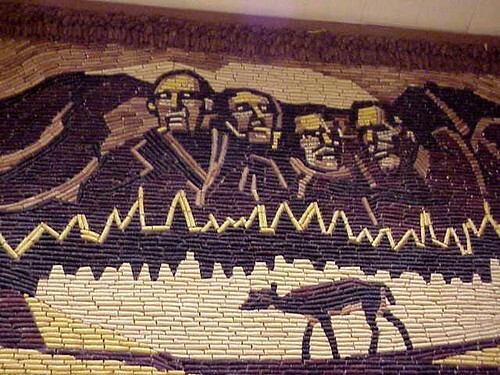 Corn Palace 2004 mural 1, originally uploaded by mharrsch. 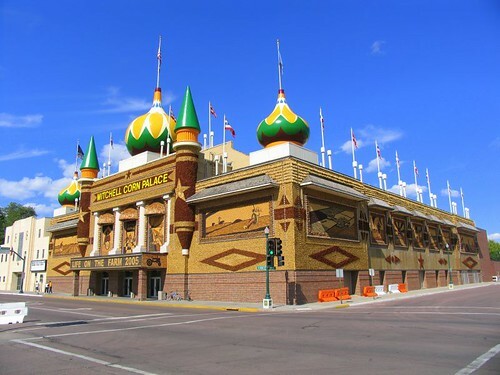 So if you have to describe the Corn Palace in Mitchell, South Dakota, it really is another mosaic but using corn. Every year there is a different theme. 2004 involved exploration and Lewis and Clark; 2005 was Life on the Farm; 2006 was a Salute to Rodeo. The tradition started in 1892 as South Dakota’s way of showing that it had a thriving agricultural climate. 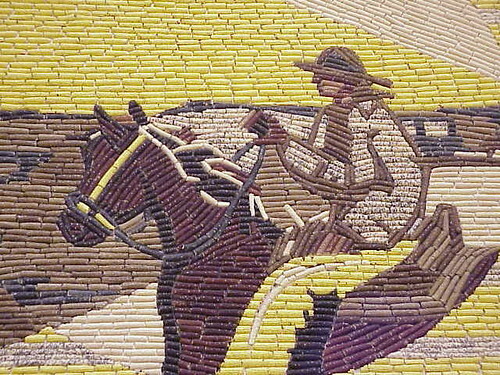 Corn Palace 2004 mural 5, originally uploaded by mharrsch. Up to 13 different shades of corn are used in the mosaic panels. Check out the official Mitchell Corn Palace site to see the original drawing for the panels for 2006. You’ll also find details of the entertainment schedule and when it is a good time to visit should you be passing through. The Corn Palace, originally uploaded by jhhymas. Anyone for scrabble?, originally uploaded by Kushmir Tukhas. ‘Myslexia’ by David Mach at Goodwood Sculpture. 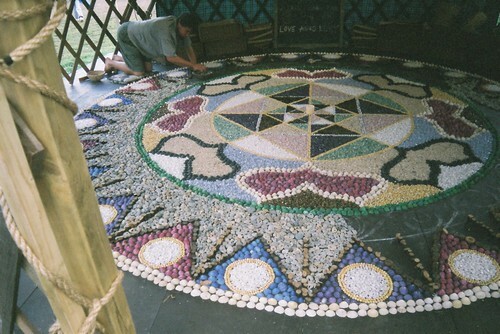 pretty shell mosaic, originally uploaded by becksydee. 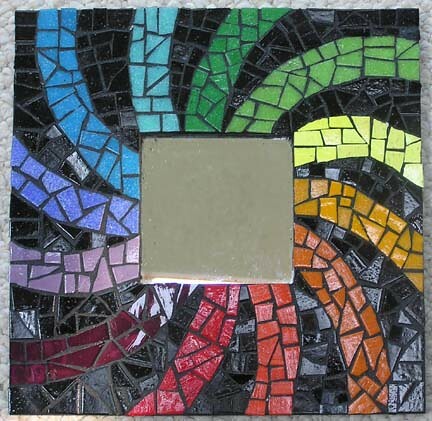 button mosaic pot, originally uploaded by Deb D.
Who says you have to use glass or tiles?